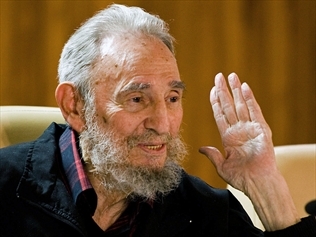 Onews CUBAN revolutionary leader Fidel Castro has called for long-time ally North Korea and the United States to avoid hostilities on the Korean peninsula. "If war breaks out there, the peoples of both parts of the peninsula will be terribly sacrificed, without benefit to all or either of them," he said in a column published in Cuban state media. "Now that (North Korea) has demonstrated its technical and scientific achievements, we remind her of her duties to the countries which have been her great friends, and it would be unjust to forget that such a war would particularly affect more than 70 per cent of the population of the planet." Castro, 86, reminded the US of its duty to avoid a clash, amid mounting tensions this year between North and South Korea. Moana Carcasses Kalosil says increased support for West Papuan self-determination will be flagged in a statement he is about to deliver to the nation announcing his government’s action plan in its first 100 days in office. Jayapura/Surabaya. Activists in West Papua province say that up to 95 people have died of hunger in Tambrauw district since last November, with hundreds more still at risk. Frits Bernard Kamuki Ramandey, the acting secretary of the Papua office of the National Commission for Human Rights (Komnas HAM), said on Wednesday night that it was inconceivable how the authorities had allowed people to starve to death. "Obviously the local authorities have let the situation get out of control,” he said. He added that Komnas HAM had recorded 95 deaths in the subdistrict of Kwor between November last year and the end of March this year. Gabriel, the Tambrauw district chief, acknowledged that there was a malnutrition problem in the area, but refuted Komnas HAM’s figure, saying that only 15 people had died during that period.